This SAB TV show to go off air! 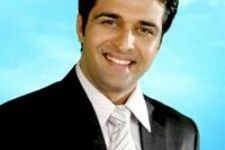 Read on to find out which show..
SAB TV's weekly show Namune is a show about Niranjan (Kunal Kumar), a policy insurance services man who is very serious in life, and people around him try to cheer him up. The show has a very different story-line and features an array of seasoned actors from theatre and television space. Show's uniqueness has won hearts of a lot of viewers. The show which was launched on 21st July is a finite series of 26 episodes. Now, reportedly the show will shoot its last episode on 20 September. They have already shot for a bank of episodes and have aired around 18 episodes till date. The show is expected to air its last episode by the end of October. SAB TV launches Hansi He Hansi...Mil Toh Lein! 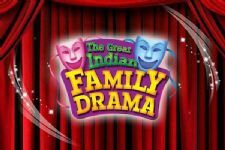 Celebrity galore at The Great Indian Family Drama! Roshni Chopra imitates Kangana and Priyanka on small screen! Sulbha Arya in Shashi Sumeet Mittal's next on SAB TV. This show was a big disappointment actually.. 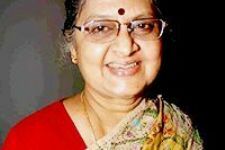 They ruined the beauty of original writing of P L Deshpande. The backdrop and context of those stories formed the crux of those characters and the writers murdered the soul of them by altering that. I hope they don't butcher more iconic characters in upcoming episodes. A New entry in SAB TV's Bhakharwadi! Sasural Simar Ka actress set to come back on TV after a 2 year gap! SAB TV's Baavle Utaavle - Ek Visfotak Love Story Gets A New Entry! Taapsee Pannu took a PERFECT Dig at Karan Johar for THIS Reason!